This Museum Complete Oil Media Art Kit is what a budding Picasso may use to capture those moments of inspiration. This Museum Complete Oil Media Art Kit has everything any artist would need. Don't miss the next creative spark by not having your art materials at hand when you have an inspired idea or see a great setting. 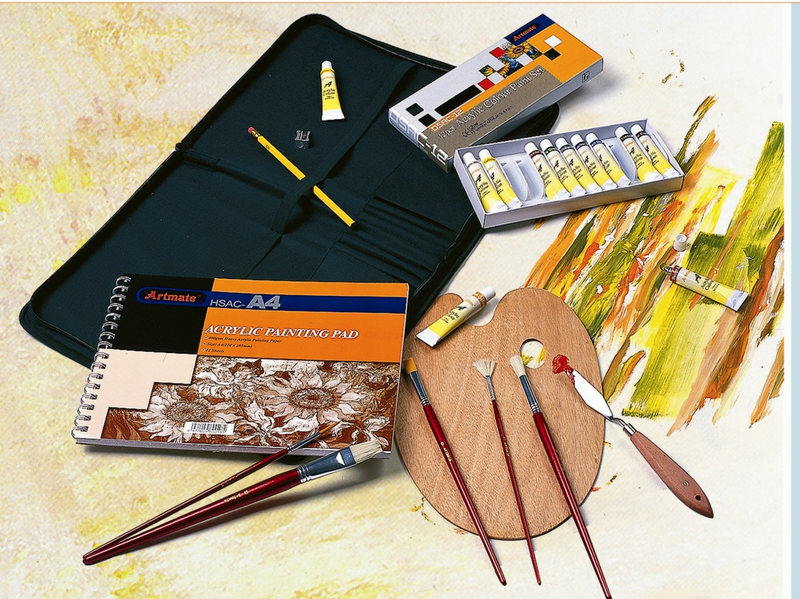 Included in the kit are: five brushes of various sizes, a dozen tubes of beautiful oil colors (12 ml each), an art pad of 12 sheets made for use with oil paints, a sketch pencil, a pencil sharpener, a palette made of wood, and an artist's palette knife to mix the oil paints in order to get the perfect color. The kit comes with a convenient carrying case so everything is highly portable. Absolutely perfect to take for an afternoon's painting session at a famous museum. Makes a great gift for yourself or any artists of all ages.